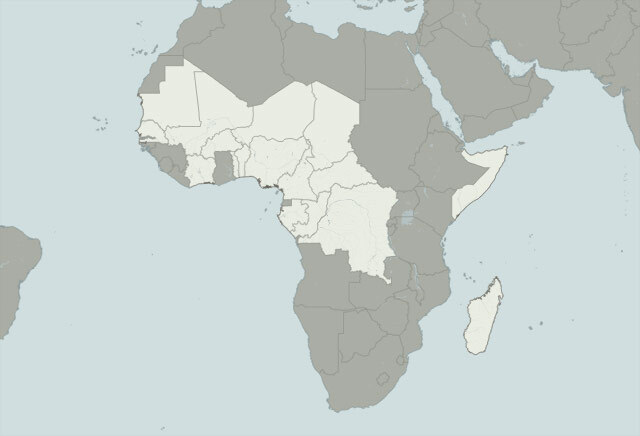 Editor's note: This year 17 African nations mark 50 years of independence from their former colonial rulers. Eight of those countries celebrate their anniversary in August, they include Benin, Ivory Coast and Gabon. CNN.com is marking this major milestone with special coverage in August looking at the continent's past, present and future. 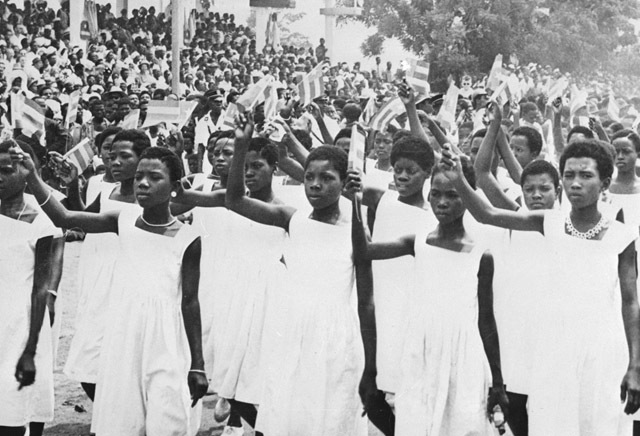 (CNN) -- The wave of Independence across Africa in the 1950s and 1960s brought to the end around 75 years of colonial rule by Britain, France, Belgium, Spain, Portugal and -- until World War I -- Germany. Before 1880, Europeans had only made small incursions into Africa, with forts and trading posts mainly around the coast, according to Richard Dowden, director of the Royal African Society in Britain. The interior until then remained largely inaccessible to Europeans because of disease and difficulty of travel. "Then the new unified Germany began to flex its muscles. It saw Britain and France ruling the world and wanted to compete for its 'place in the sun'. Its explorers were beginning to penetrate the continent," Dowden told CNN. When the explorer Henry Morton Stanley -- who had already rescued David Livingstone -- set out on another rescue mission, King Leopold of Belgium asked him to claim land along the Congo River for Belgium. "This was a vast grab from little old Belgium, which upset Britain and France," said Dowden. "Britain already had India and didn't really want Africa too, but felt they should have it if everyone else was." In 1884-5, the Berlin Conference was called to carve up Africa between Britain, France, Belgium, Spain, Portugal and Germany. "They didn't want to be seen to be fighting amongst themselves, because then Africans would realize that white men could be killed," said Dowden. "Instead they drew lines on a map of places they had never been to, with no regards for existing kingdoms, geography or the people that lived there. "They believed they were bringing civilization to 'savage people'. They introduced Christianity, trade, education, justice and a good deal of looting and forced labor." It was beginning to emerge that Africa had mineral and agricultural wealth, which the Europeans were keen to exploit. Because India had fought for its independence, Africa wanted to fight too. Another justification among the European powers was to 'liberate' Africans from Arab slave traders, who had continued to operate after slavery was abolished in Europe. The Europeans met little resistance from Africans once their vast military might -- including newly-developed machine guns - became clear. Dowden said that in a single day's battle for Sudan, 10,800 Sudanese were killed, compared with 48 British soldiers. Over the decades that followed, each colonial power ruled in its own style. Dr. Gareth Austin, a historian at the London School of Economics, pointed out that colonies were intended to be cheap for British and French taxpayers and in many cases collected more in taxes from the colonies than they spent. "The British doctrine was that each colony should be fiscally self-supporting. Thus, any growth in government expenditure was supposed to be financed from higher revenues," he wrote in his article African Economic Development and Colonial Legacies, in the journal Revue Internationale de Politique de Développement. He added that surpluses made by West African farmers were held in forced savings in British government bonds, helping the British economy to recover from its post-war shortages. Dowden said France believed in the "Frenchification" of Africa and invested in instilling its language and culture into the people. African leaders were able to become government ministers representing their colonies in France. "This would have been unthinkable in Britain, who did not want to mix with Africans," said Dowden. "Britain used indirect rule to control people through their own tribal leaders. They were amazingly brutal in putting down any rebellion." Dr. Austin said that, despite these differences, there were more similarities than differences in styles of colonial rule. After WWI, Germany's colonies were divided between Britain and France to administer on behalf of the League of Nations. The end of colonialism came about after India's independence from Britain. "Because India had fought for its independence, Africa wanted to fight too," said Dowden. "Britain was completely broke after World War II and couldn't invest in its colonies. It found it easier to walk away than to start wars all over Africa to hold on to them," he added. "In contrast with the start of colonization, independence was mostly non-violent, with some exceptions," Dowden continued. "France also gave independence to its colonies but only on its own terms, with French troops and administrators remaining in place for many years. "Portugal resisted independence and kept its colonies until much later."